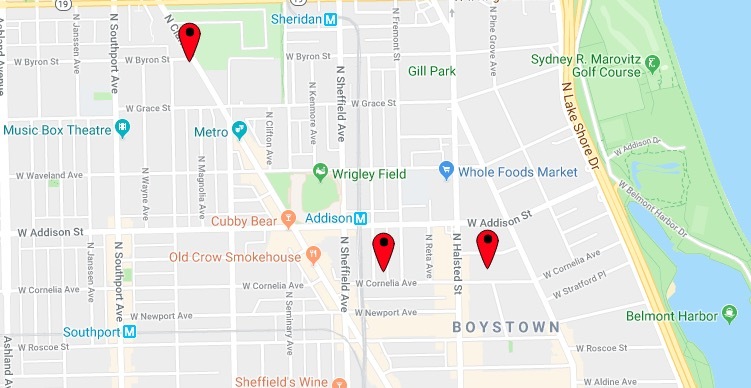 A Boystown resident called police around 12:15 a.m. on Saturday morning after two men broke into his home and attacked him in the 700 block of West Cornelia. The victim, 27, said he was in his home when he heard loud banging noises at his front door. That’s when he realized that two unknown men were inside his home and a fight broke out, according to police. The victim suffered a cut to his forehead but declined medical attention. Police said the offenders escaped with an iPhone after attempting to get some computer equipment. The victim described the intruders as two black men in their 20’s who wore surgical masks. One is about 6-feet tall, 160 pounds, and wore a green winter jacket. The other is also about 6-feet tall, and he wore a dark winter coat with fur around the hood or collar. The case has been classified as a home invasion. The burglar replied “John from the third floor,” which the victim knew was incorrect information. The victim slammed his bedroom door shut, and the offender hit the door with his hands, saying that he had a gun, according to the neighborhood watch post. "An 8-year-old 22-inch TV" was taken, the man said. Police classified the incident as a non-forcible burglary, which indicates that no doors or windows were broken to enter the home. • At 4 a.m. on Friday, a Wrigleyville woman who lives in the 3800 block of North Clark Street was awakened by two men who entered her home through a first-floor window. No one was injured, and no property was taken.